This is an homage* (*blatant rip off) of the excellent Buzzfeed post by Tom Phillips you can read here. He's a bit harsh on the Northern Line, and I wouldn't have put the DLR first because it's not a Tube line, but anyway: at least he is satisfyingly cruel and cutting about the Arabfly Dangleway. 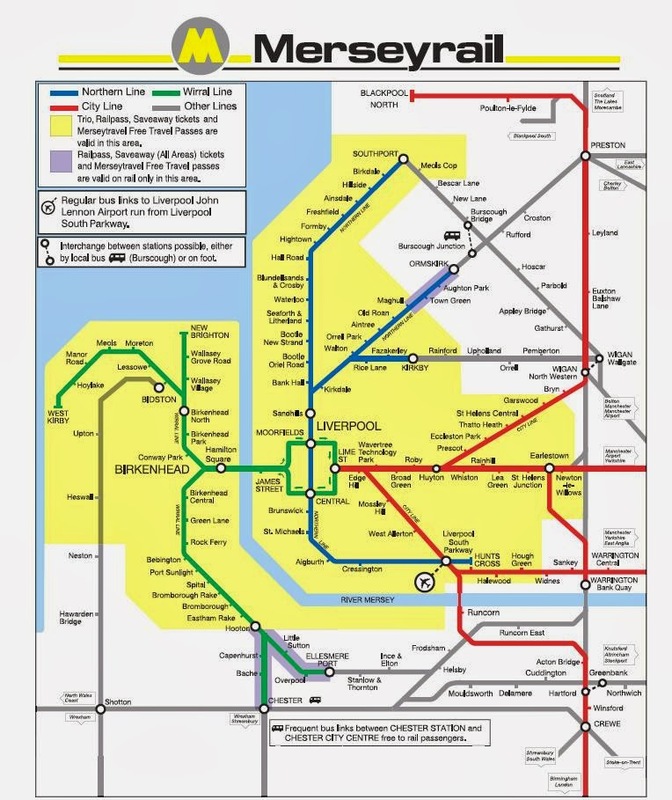 Note On Methodology: for the purposes of this evaluation, the lines are broken down into sections, based on their terminus - so there are four entries for the Wirral Line, and three for the Northern Line. Otherwise this would be a very short list, and I would miss the opportunity to waffle on. I'm also going to deal only with the bits of lines that exist entirely on the Merseyrail map, so if you want to hear complaints about the points work at Manchester Oxford Road you'll have to go elsewhere. It's too short, it has a stupid kink in the middle, and it doesn't really relate to any proper services. Because it gets about four trains a month, and to get one you have to clamber up and over the bridge at Ellesmere Port like a hamster in a run. It's like they don't want you to use it. 17. The line to Blackpool North. A route which exists purely to carry low-rent stag parties to fun pubs, and which never quite shakes off the smell of stale booze and unspent testosterone. Everyone tumbles off the fast, frequent, electric Merseyrail train and wanders up to a manky Pacer that's chugging like a tractor running on pig manure instead of diesel. It'll be rammed, no-one will be happy, and it takes forever. With the exception of the rather fantastic St Helens Central, this is a stream of boring stations with odd names ("Thatto Heath"? You're just making these up now). It's a line for people who want to go to either Wigan or Kirkby. 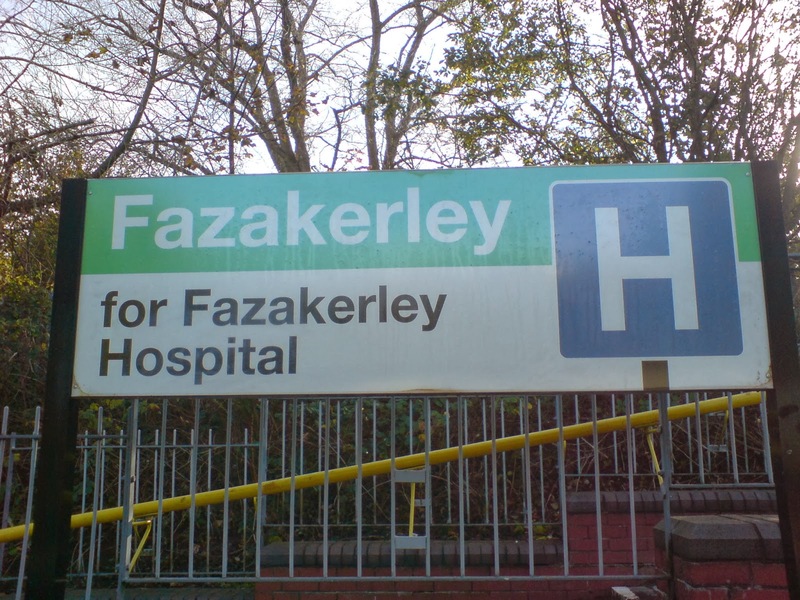 It might get a branch to Skelmersdale in the future. Must I say more? It connects Chester with Manchester, it goes through some very pretty countryside (including the Delamere Forest), and it's got some very posh bits. Usually full of nice old ladies going out for tea and lunch in Altrincham or somewhere equally glamorous. Ok, it's got nice fast whizzy trains, but they don't always stop at Winsford and Hartford, and Acton Bridge is practically a ghost station. That's just rude. Also the trains tend to be full of twats shouting into their mobile phones to let you know they're very important. Because my friend Jennie used to live in Parbold, and so I have a great deal of affection for this line. It's my list, alright? Get your own damn line, Ellesmere Port, and stop stealing Chester's trains. Fun fact: the Queen was made to ride the line out to Kirkby when she opened Merseyrail in the Seventies. I bet she was overjoyed about that. Now it's just a little stub, and you have to sit on the platform for what feels like forever before the train leaves, all the while hoping that those scallies bounding down the ramp towards the platform aren't going to sit in your carriage. They always do. And they always decide to try and compete with one another for who has the most offensive and misogynistic rap music on their phone throughout the journey. Liverpool South Parkway makes this a surprisingly useful line, busy and interesting. You can interchange for a whole lot of more fascinating places. Also: Widnes. Oh yes. Like the Kirkby line, it's too short and stubby, but it's got the seaside at the end, so at least you can have an ice cream. This would be a perfectly fine line if it didn't have Chester on the end. Chester is a big succubus of snobbery and pretension, and doesn't deserve to be on the same route as perfectly respectable places like Bromborough and Birkenhead. Also, I'm pretty sure you get radiation poisoning every time you go through Capenhurst. It's too long. 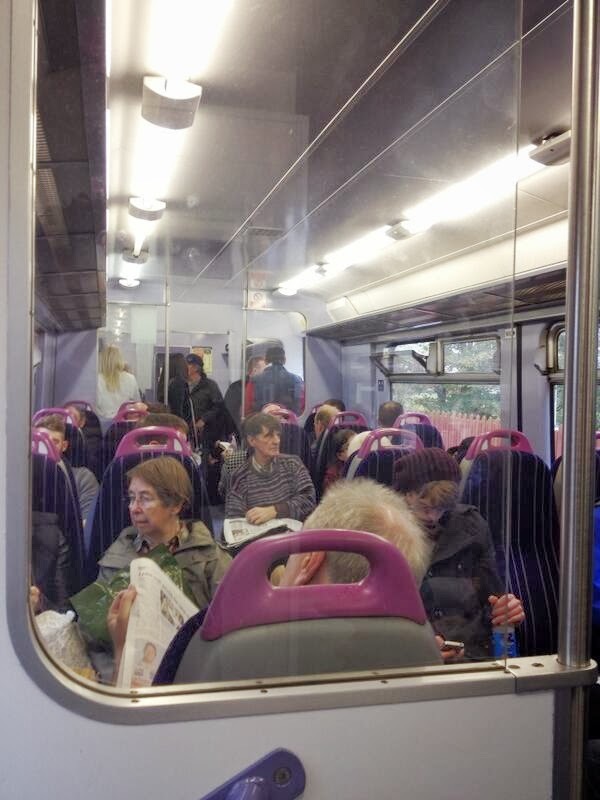 It takes an hour to get from Hunts Cross to Southport, and boy, don't you notice it. Somewhere around Freshfield fatigue sets in and all those level crossings and golf courses become a blur, until next thing you know the guard's waking you up back in Hunts Cross because you've slept there and back again. There's town (Bidston, Upton, Heswall, Wrexham). There's country (a lot of unpronounceable places in the hills). It's got a river crossing, it's got posh bits, it's got rough bits. 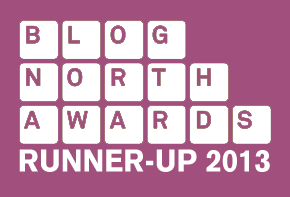 And did I mention that it goes to ANOTHER COUNTRY (ok it's only Wales, but it counts)? Points are however deducted for terminating in the middle of the marshes at Bidston. It's the first intercity railway in the world. If this line didn't exist, we'd all still be stuck in tiny villages, eating mud and marrying our sisters because no-one could go anywhere else to experience new things like cauliflower and eggs and people with less than eight fingers on each hand. 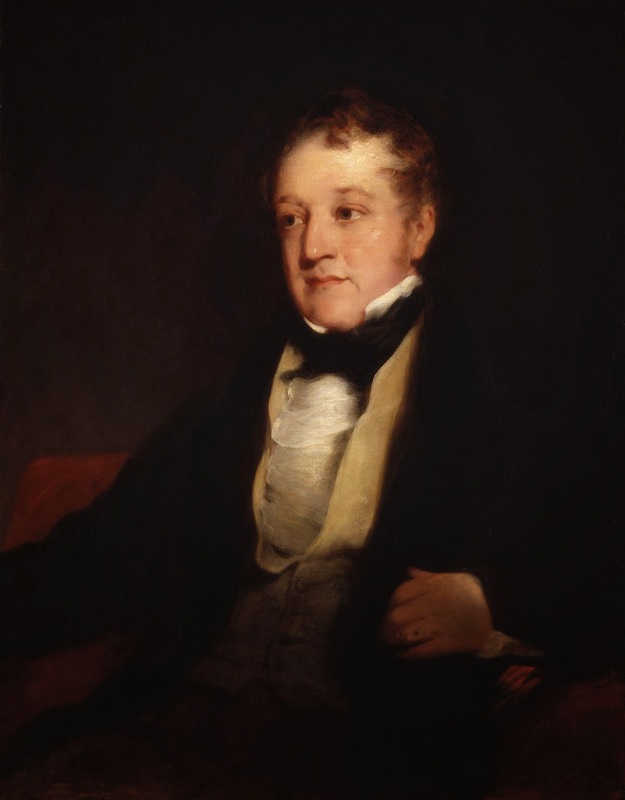 It's railway history, no, legend, and poor old William Huskisson died in the process. You should doff your metaphorical hat every time you travel on it. HUSKISSON! I'm not just putting this second because it's my old home line: the Ormskirk branch is a veritable roller coaster of emotions and experiences. SHIVER as you pass Walton Gaol and the Ashworth High Security Hospital! THRILL at the idea of crossing the track on that really really high footbridge between Walton and Kirkdale! LAUGH as you speed past all the poor queuing cars at Switch Island! PERVE at the many attractive students who take the train on a daily basis! ENJOY the sweet spot between Sandhills and the plunge into the tunnel where for the briefest of moments, the two cathedrals and the Radio City Tower are in perfect alignment, and you fall in love with Liverpool just that little bit more. You board at a petite Victorian terminus in a charming seaside town. There are fast, regular trains, that take you through classy suburbs and expanses of golf links. At Moreton and Leasowe, there are actual biscuit factories, like Willy Wonka but crunchy. Under the motorway and past the docks, then a stop at Birkenhead Park - the oldest public park in the world - before you go to the modern, shiny Conway Park. 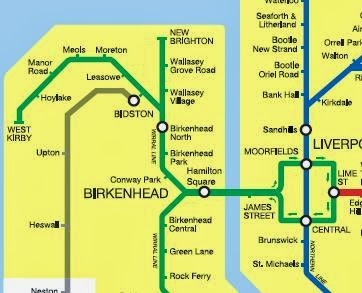 Then you're underground, through Hamilton Square and under the River Mersey into the Loop. Four stations to take you pretty much anywhere you want to go in Liverpool city centre. And before you know it, you're back on the way out again, heading back towards the sea. Thanks to Sean for suggesting this. The 'racing stretch' between Bache and Hooton, and the thrill of not stopping at Capenhurst. Spital & Bromborough's wonderful Stations. Port Sunlight Village, Art Gallery and Soap Factory. The View of Liverpool as you leave Rock Ferry. Hamilton Square and it's Rabbit Warren of tunnels and passeges..
Come on, it's got to be higher that 6th Scott!! I see DiamondGeezer has reported your latest excursion before you have!